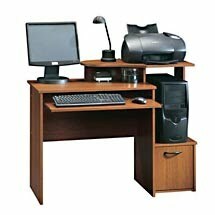 Save More on Computers and Printers | TonerGreen - Eco-Friendly Toners from the U.S.
First of all, when it comes to your computer you should avoid upgrades instantly unless really needed. It can be very costly to purchase then upgrade your system so think twice first and take time to read expert reviews before doing so. You should also think about your preferences and needs when it comes your desktop and its parts. Although having the latest models is quite good, you may want to stick to your present setup in the meantime, especially when you know that your computer can still work properly without costly updates. When it comes to your printer, you should try filling it with a remanufactured toner cartridge or inkjet cartridge. These printer supplies are made by third party manufacturers who want to provide high quality printing at an affordable price. You can instantly see the savings here since most stores that sell remanufactured printer cartridges take 50-70% off the original amount. You should also try duplex printing when you are printing files for personal use since this printing technique can save not just your printer cartridges but your paper as well. Applying these tips will surely provide you with greater savings on your computer and printer costs, so don’t be surprised to see your expenses cut by as much as 50% or more.